Austrian classical pianists, Wikipedia entry. The Balanced Pianist presents a variety of short, intensive programs for small groups of pianists, high school age and above, amateur and professional. Pianists improve their practice, performance, and teaching skills while growing to enjoy all these activities more. Bruce Brubaker on all things Piano. Finger settings for any piano chord. Easy to use, fast, and complete. Finger positions, actual notes, optional notes, note names, scales and more. The 8notes.com Interactive Piano Chord Chart. All chords have a midi file, so you can hear the chord as well as see it. Piano Chords and Scales made easy. Use this virtual keyboard to learn piano chords and scales. Bakitone contains a comprehensive database of all world music competitions for all instruments. Information is detailed and up-to-date. The website is supported by Vladimir Ashkenazy, who has highly recommended the website to young artists, teachers and music lovers. Arthur Rubinstein International Master Piano Competition YouTube Channel. The International Cochran Piano Competition is a unique musical event on a global scale. 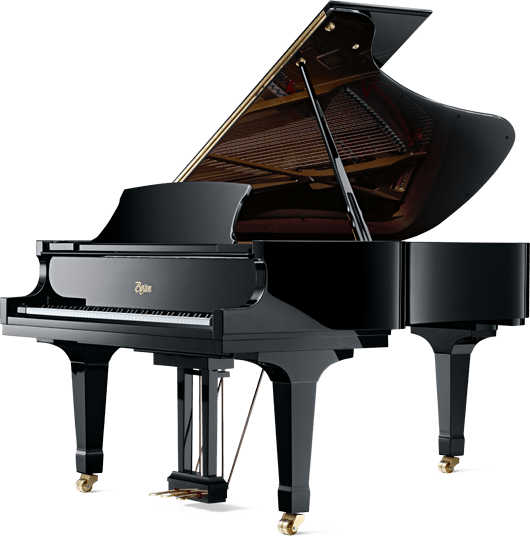 Established in response to the needs and expectations of pianists, the Competition stands out thanks to its original evaluation methodology and award system, which enable its participants to enter another stage of their artistic development. Every year from May to July, the Ruhr Piano Festival, often called “the most important piano festival in the world” presents concerts featuring outstanding artists from a host of different nations. Tchaikovsky Competition videos, Medici TV. International Tchaikovsky Competition. Wikipedia entry. The You Tube Van Cliburn Foundation channel. Italian instrument maker Bartolomeo Cristofori. French classical pianists, Wikipedia entry. German classical pianists, Wikipedia entry. dedicated to free, expressive piano playing and the elimination of pianists’ injuries. Created and maintained by pianist/teacher Thomas Mark. Learn how to play piano/keyboard in the comfort of your own home – when it suits you – with Musiah, the world’s first Artificially Intelligent Virtual Piano Teacher. Piano Lessons » Learn How To Play Piano Today! Powerful piano lessons to help you learn how to play piano. YouTube online video piano lessons. Piano masterclasses: videos on YouTube. Pianists; a list of famous classical pianists, a website list. Pianopedia is a search engine performing queries over a large database of classical piano works using flexible combinations of criteria (e.g. composer, composer nationality, title, duration, date composed). It is designed for piano teachers and students, as well as performing pianists. It can be used to explore the repertoire in search for new works to learn and perform, and also serves as a detailed reference source for the classical piano repertoire. Piano Society offers artists, amateurs and professionals alike free space, bandwidth, and a personal biography page by which they are being presented. Today you will find more than 150 pianists at Piano Society, and they have so far uploaded more than 2,800 recordings by over 130 different composers. The Piano Page. From the Piano Technicians Guild. Technical information on the piano. Piano brand names, a list from Wikipedia. articles and reviews by Charles Rosen. Articles by and about Charles Rosen from Find Articles.com. Russian classical pianists, Wikipedia entries. Schenker, Heinrich. A guide to Schenkerian musical analysis for the intrigued or bemused. Piano Tuning, History, Makers, Movers and Piano Teachers in the UK. were founded in1988 by the Spanish pianist José Francisco Alonso, in order to create a community of renowned concert artists and young student musicians. Wikipedia entries on the piano and pianists. A US non-profit organization founded in1961 dedicated to discovering and launching the careers of extraordinary young musicians. The artists are chosen through the Young Concert Artists International Auditions.